-Read the excerpt below from Curtis Houck Sept. 12 post at Media Research Center. 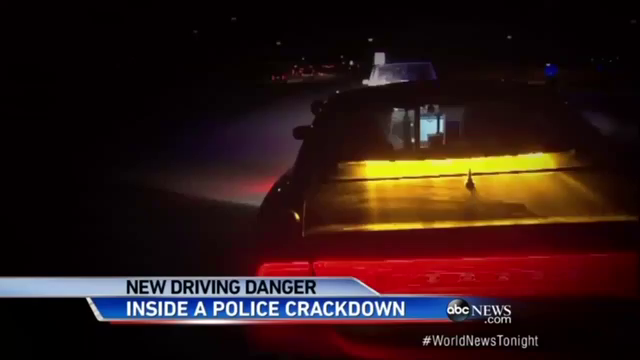 Thursday night’s edition of ABC World News Tonight with David Muir included a report from ABC News correspondent Clayton Sandell on the growing problem in Colorado with law enforcement encountering motorists [who] are driving while high on marijuana in the time since the state legalized its recreational use after voters approved it in 2012. The ending to Sandell’s piece was unfortunate because the two-minute-long report highlighted the growing dangers in smoking marijuana and then getting behind the wheel. In addition, he followed around police officers in Colorado as they conducted traffic stops for individuals that were driving dangerously and erratically that they suspected could be driving high. Sandell also included interviews with a Denver Health doctor expressing concern and a woman who was seriously injured in a car accident by someone driving high. Overall, Sandell’s story marked the latest installment in the on-going pattern of broadcast networks ABC, CBS, and NBC going back and forth in portraying the drug in either a positive or negative light. Reports have ranged from Almaguer’s critical report for Today in March to CBS This Morning and Today on July 7 pushing puff pieces on pot. 1. Do you think the excerpt below is an example of media bias? Explain your answer. 2. What responsibility does ABC and other news organizations to seriously report on the fact that driving while high is creating dangerous driving situations? Explain your answer. 3. Is is necessary for ABC to point out “some studies disagree”? How credible are these other studies? Explain your answer. 1. No, it is not media bias. It does not fit any of the types of bias: omission, story selection, selection of sources, spin, labeling or placement. Rather, it could be seen as media irresponsibility.